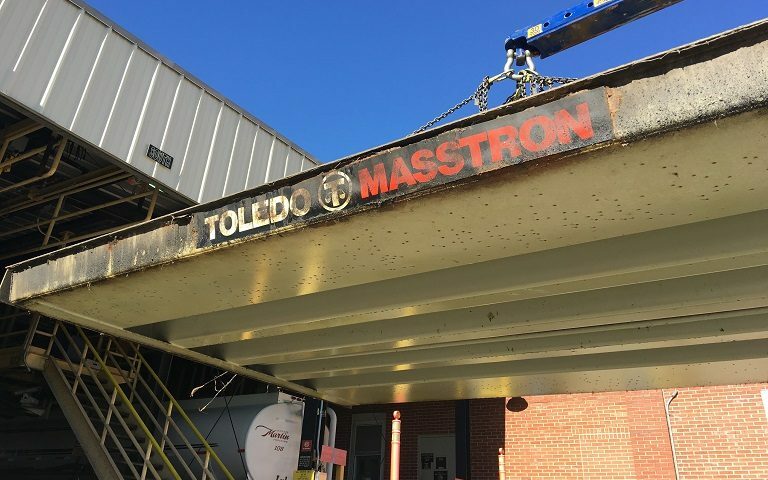 A 26 year-old Toledo Masstron scale is removed to have new PowerCell PDX load cells retrofitted. The deck maintains the same integrity and even the original paint when it was produced in 1992, the same way METTLER TOLEDO still produces truck scales today, but with enhanced technology. When it comes to the design of a truck scale, the strength and durability of the deck is one of the most important components. METTLER TOLEDO knows that your truck scale is responsible for a large portion of your business’ profit. That’s why their designs are built to endure the heaviest traffic for the longest amount of time. Not only do they use world class, cutting edge, engineered designs but they’re also the only manufacturer in the world that physically tests and puts each design through over 1 million weighments the same exact way a truck with an 80,000lb CLC would move across the scale. The design of the METTLER TOLEDO truck scale decks is just one way they make sure their truck scales are the longest lasting, most durable truck scales in the world so your smart investment will keep working for you. So what does METTLER TOLEDO do differently than other manufacturers? Traditional truck scale designs use the classic I-beam approach in the deck. This doesn’t come as much of a shock as this is how traditional bridges were built back in the day. But we’ve come a long way since the I-beam approach for decks that receive weight from traffic transversely. I-beam designs would work great for concentrated loads that remained stationary. But we both know how truck scales are used. 80,000lb trucks pull on and off in different tire paths and come to abrupt stops and starts on them. 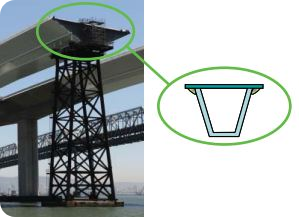 The I-beam design does not support transverse weight movement nor does it provide flexibility, which can ultimately cause stress fractures in both the beam and the stitch welding applied at the top of the beam to the deck plate. That’s because they’re basing it off of a hypothetical CLC that is almost 300% over what is legally even allowed for the road. Not to mention that most truck scales are already designed to endure 200% of the legal Concentrated-Load-Capacity for the road. The seemingly short lifetime of their truck scales. 1) A CLC is the capacity of a load when it is concentrated on a fixed point, i.e the I-beams on another manufacturer’s truck scale designs. 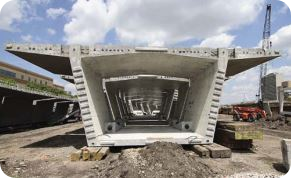 Reinforcing I-beams or adding more in will not take away from the lateral force a scale experiences throughout 100% of a scale, which means at times, loads will not be concentrated on the rigid I-beams. 2) Increasing the CLC above legal road limits doesn’t matter when you’re not legally allowed to load a truck with a dual tandem axle weight of over 44,000lbs for the road. Typical truck scales are already tested and approved at 80,000lb CLCs. Increasing that capacity does nothing to improve the durability of the scale. We don’t. All that extra steel for a hypothetical number that will never be reached. 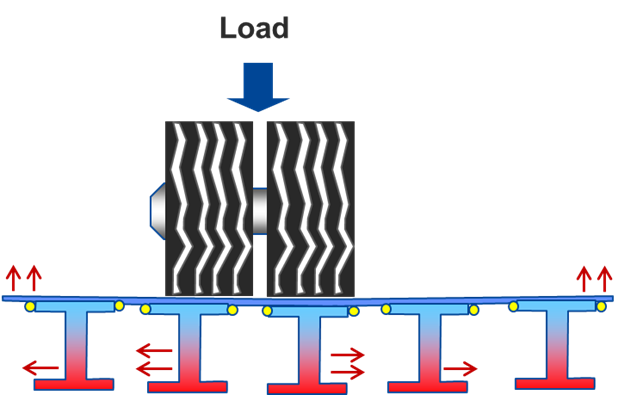 When measuring the true performance and durability of a truck scale, a life cycle test will need to be performed. Finding the true strength and durability in a truck scale can’t be run by computer simulations or CLC tests. That’s 20 years of heavy traffic, 365 days a year! So how does METTLER TOELDO do it? The Module Masher is a one-of-a-kind device designed by METTLER TOLEDO to physically test truck scale designs and prove the durability and lifetime of their designs, rather than simply running it through a computer simulation. Check out the Module Masher in action below! The Module Masher simulates an 80,000lb concentrated load moving over the scale in a lateral manner the exact same way a truck would roll over the scale. This masher simulates over 1 million trucks going over the scale, proving the rugged design and structural integrity of all METTLER TOLEDO truck scale designs before a new scale is put on the market. Bottom view of stitch-welded I-beams. 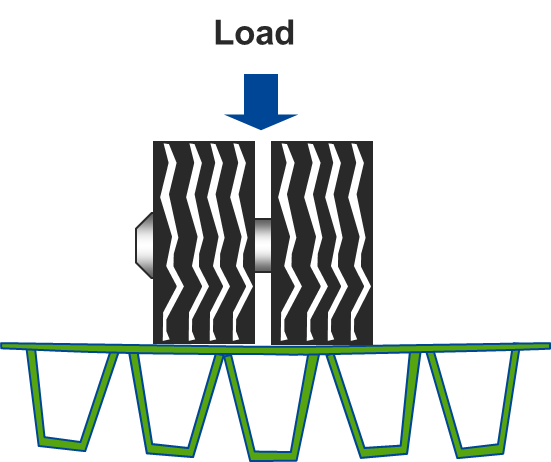 The arrows on the diagram indicates the direction weight is transferred when a load is resting on a platform. Because the rigid I-beam design doesn’t allow for any flexibility, the steel support structures become more and more prone to stress fractures over time. Stress fracture caused by traditional I-beam design. METTLER TOLEDO uses the best design in the world with their orthotropic ribs. Not only do the rib structures allow for flexing and equal distribution of weight to reduce stress, but they are geometrically designed to withstand higher amounts of weight being able to distribute it throughout all points of each rib. In fact, the orthotropic design was chosen after the original I-beam design collapsed in 2007! But that isn’t all! 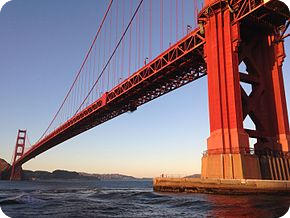 48 Years after the construction of the Golden Gate Bridge was completed, the original concrete deck was wearing down due to the salt carried by fog. The salt managed to work its way into the rebar, causing corrosion as well as the concrete to spall. 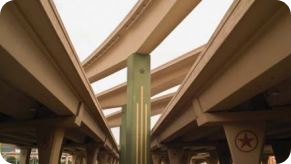 The city opted to reconstruct the bridge in 1985 using the steel, orthotropic deck ribbing. Not only did this project restore the bridge to its former glory, but it also reduced the weight of the deck by over 24,000lbs! Of course it can be argued that the support of a steel under structure is only as good as the welding. 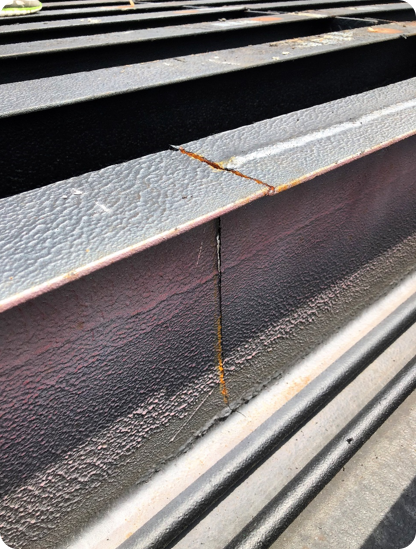 Typical truck scale manufacturers stitch weld their I-beams to the upper deck plate. However, welding abilities vary from welder to welder and not 100% of the area may be welded off. METTLER TOLEDO uses robotics for a continuous and 100% consistent weld along each side of all orthotropic ribs ensuring the highest quality and strongest seal. How strong is the steel? 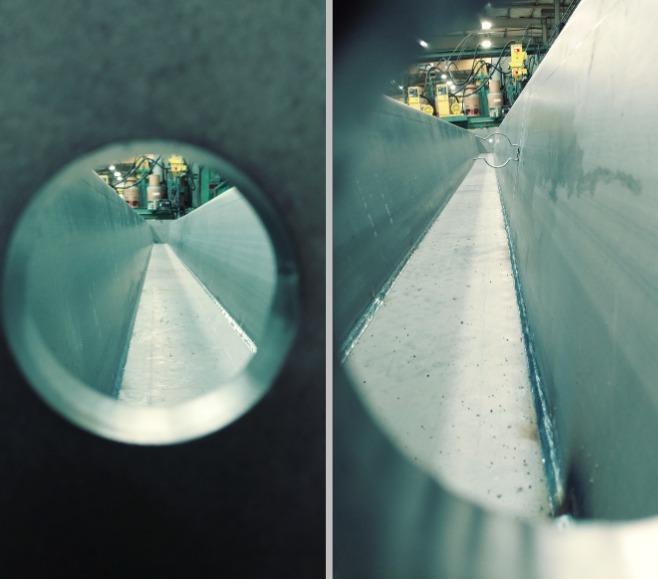 Well it takes a 600 ton press brake to form each rib… YES… 600 tons! An inside look at the robotic, continuous weld on METTLER TOLEDO’s orthotropic ribs. Once the ribs are welded, skilled welders weld on end plates and couplers onto the deck and even place their own individual stamp in their welds for maximum trace-ability. That’s right, METTLER TOLEDO doesn’t just track individual parts, they also make sure the welds are held to the same quality standards as their steel. After the ribs, end plates, and couplers have been welded on, the sealed ribs are then pressure tested to make sure they’re air tight. In fact, the air tight seal is just part of the reason why METTLER TOLEDO’s orthotropic ribs have NEVER failed. It’s the attention to detail, cutting edge engineering, and trace-able processes that METTLER TOLEDO puts in place in order to provide the best products in the world, which is why they stand by their products with the industry’s leading truck scale warranty. And we’re not talking about those conditional, limited warranties that only cover certain parts of the scale and also doesn’t cover the travel and labor repair costs. METTLER TOLEDO’s truck scale warranty doesn’t just cover the scale’s weighbridge and orthotropic design either, it also covers the load cell system and cables for 10 years* even from lightening strikes! Additionally, METTLER TOLEDO will also cover any digital indicator connected to the scale for 5 years, and 6-10 years if the indicator is damaged by lightening (power surge). While most scale manufacturers only cover replacement parts, the MT’s standard warranty covers parts, labor, travel time, and mileage from the closest authorized scale service location. Your scale should not have to cost you more money during the warranty period! Check out the complete list of the industry’s most powerful warranty documentation on truck scales below. *PDX™ Load cell system is covered for 10 years on all models. The weighbridge/deck on METTLER TOLEDO truck scales are covered for 10 years on models: VTC221, VTS231, 7566, and VRS241. The warranty on the deck is 5 years for models VTC101, VTS101, VTC191, 7360, 7560, 7563, 7531, and 7541. See warranty coverage documentation for full details.